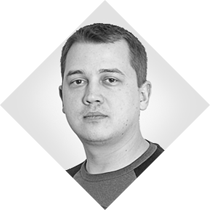 Alexander is a GUI Dev Lead who's passion lays in coding, CSS, JS and workflow optimization. The impressive experience in latest GUI tech and methods doesn't prevent him from being nostalgic about IE5 for Mac OS, Windows 95, table layouts and other cool old-school stuff. He also enjoys fishing, berries picking and mushroom-hunting while hiking through the woods on a nice day.